The U.S. and China have been discussing the shutdown of the world’s largest market for ivory tusks since 2015, with the hope of preventing African elephant poachers from driving certain populations of the threatened animals into extinction. With an estimated population of about 10 million African elephants in the early 20th century, CNN reports that just 1.3 million remained by 1979. About 352,000 elephants remained in 2016. In addition to being killed for their tusks, flesh and skin, elephants are also imprisoned in zoos, circuses, construction sites and tourist attractions around the world. 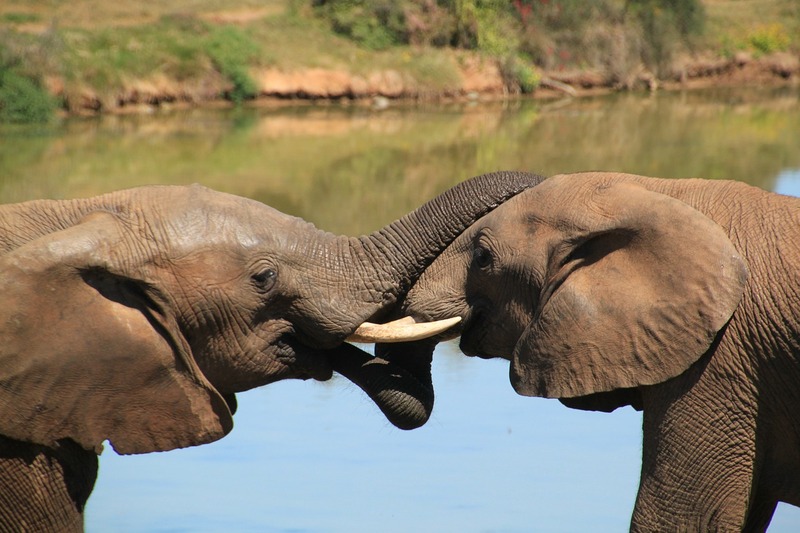 “As long-lived, intensely social animals, elephants are vulnerable to the same sorts of long-term psychological conditions that may affect humans who have suffered mental or physical trauma,” Dr. Jonathan Balcombe writes in his book, Second Nature: The Inner Lives of Animals (St. Martin’s Griffin, 2011). The Humane Party applauds all efforts toward ending the suffering and exploitation of all sentient beings. See the Humane Party’s platform for information on this topic. Also read about the Humane Party’s Abolition Amendment, proposing to end the property status of all animals under U.S. jurisdiction, with a view to encouraging such proposals at an international scale. If you would like to volunteer for the Humane Party, please fill the contact form on the party’s website.